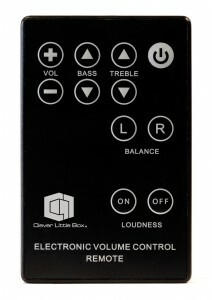 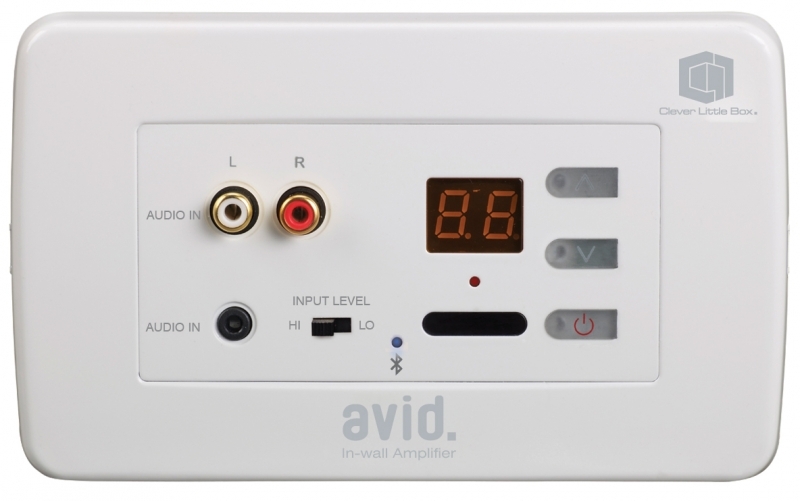 An ideal solution for Operating Theatre Music System and single-room voice or sound reinforcement applications, the AVID3 Stereo Amplifier is fitted into a 2-gang wallplate and features 3 x audio source inputs (3.5mm jack, 2 x RCA and screw terminal), line level sensitivity switch and bright LED display. 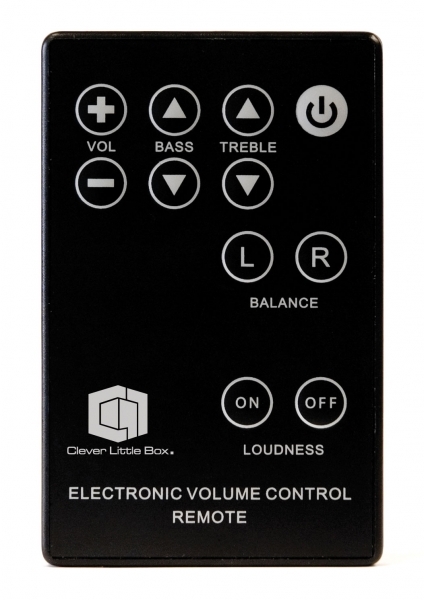 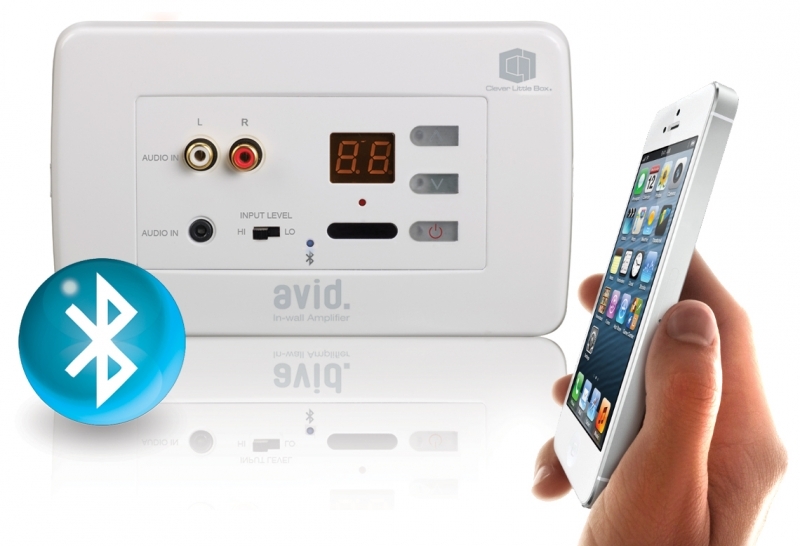 The Operating Theatre Music System, AVID3 In wall Amplifier from Clever Little Box is a stylish, but discreet 2 x 12W stereo amplifier for in-wall or dado conduit mounting. 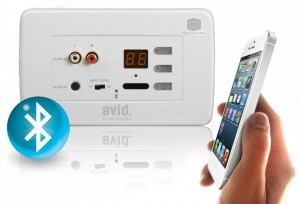 Audio devices such as CD players, MP3 players, digital radios, TV/DVD or microphone can be connected to the AVID2 Amplifier via a connecting cable, plugging directly into the dual-phono or 3.5mm jack sockets on the front of the amplfier. 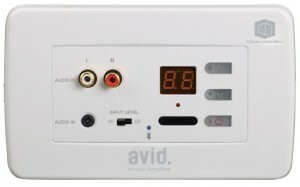 Alternatively, any audio source can be permanently ‘hard’ wired by connecting the cable to the rear of the AVID3 amplifier via screw terminals.